Airbnb offers home sharing, boutique hotels, experiences, and dining reservations and all the way back in 2016 it briefly mentioned the idea of launching flights to become a huge travel super brand. There is however huge costs in launching a traditional airline, and costs could range from anywhere from millions of dollars to billions depending on the fleet, the way the airline employs people and their routes. This is where for Airbnb, wet leasing could come in. ‘Wet-leasing’ is a term to describe a short-term rental of an aircraft, that includes complimentary fuel and crew (practically the same as a private charter) as opposed to a long-term lease in which only the physical plane itself is rented. A well known aircraft wet leasing company is HiFly, most notably known for leasing out an ex Singapore Airlines A380 to Norwegian. Why would wet leasing be good for Airbnb? If Airbnb decide to wet lease aircraft, they would not necessarily see the same startup costs a traditional airline would see and it would allow for them to ‘proof’ their concept before buying planes for themselves. This is where we want to tell you guys about a long term aircraft leasing company in Dublin, Ireland called Amedeo. They own 8 A380’s with a further 20 on order, which is crazy as before today I have never heard of Amedeo. The issue with Amedeo right now is that they have 8 A380’s in their fleet and the lack of interest in the world’s largest passenger plane that it has been unable to renew its long term leases, or find new customers, despite months of negotiations. According to Amedeo’s CEO Mark Lapidus, the new business model will involve wet leasing aircraft to existing carriers, or to potential non-traditional arrivals such as Airbnb. How would this work for Airbnb? Airbnb would sell tickets on their own site and then Amedeo would come in and ‘furfil’ the tickets sold on the flight using its own cabin crew on their A380 but tailoring the service to suit the client. First of all, Amedeo is applying for an air operators licence this year. 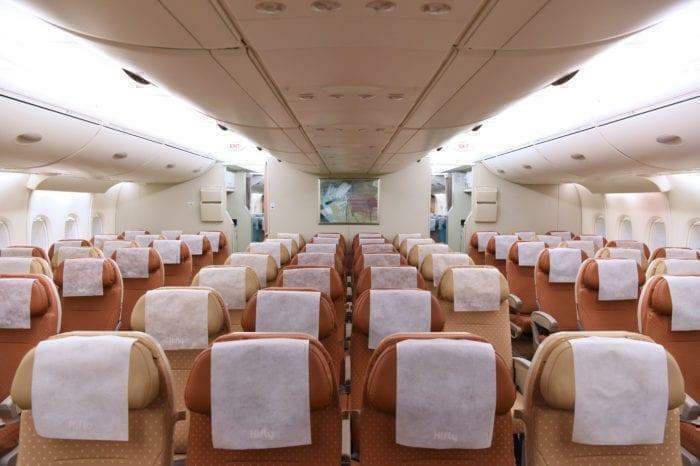 Plus, according to Amedeo, when an A380 is configured with 600-700 seats it beats the cost of anything else flying if the seats are full. With Airbnb achieving over 100 million stays in 2017, they must have a lot of data when it comes to where their customers are from and where they are staying. Airbnb will, therefore, be able to identify which routes they could operate most likely at a profit by flying an A380. For example, if 500 stays per day are happening in San Francisco with guests traveling from the New York area and with each stay having 3 guests, that could be a market of 1500 people per day flying from New York to San Francisco and Airbnb could capitalise on this, obviously without the traditional operating costs of a major airline due to wet leasing from Amedeo. It’s important for Airbnb to do things well under this framework because some 60 percent of its business comes through organic growth and word of mouth. If things aren’t done well, then the negative impact could be especially dire. 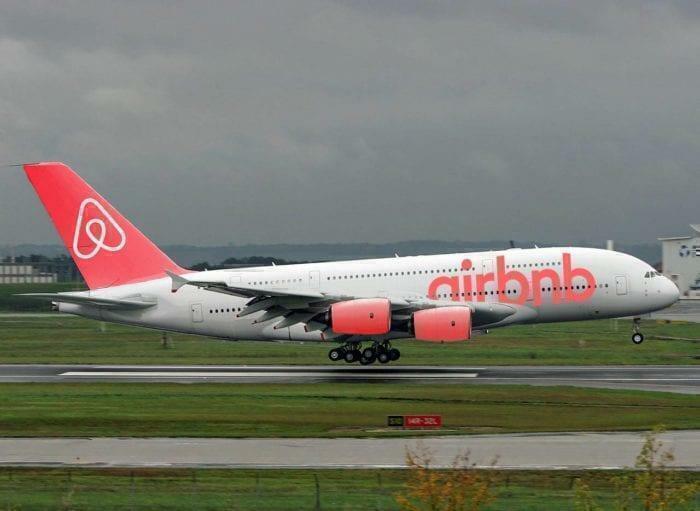 From this obviously Airbnb feel they could loose too much by launching an airline right now. This is probably confirmed with the fact that Norwegian operating HiFly’s A380 has been a bit of a disaster with Norwegian loosing a lot of money. The next logical move for airbnb is going to be to start selling flights, perhaps through a partner such as Kayak as an affiliate partner, where Airbnb get a commission for each flight sold by them. This would obviously help airbnb with increasing revenues and profits, but furthermore they will be able to collect more data on wether people would actually be comfortable booking flights via their platform and what routes/flights actually sell. From this, it would be a lot less of a risk for Airbnb to launch an airline and in the next few years this could be a very real possibility.